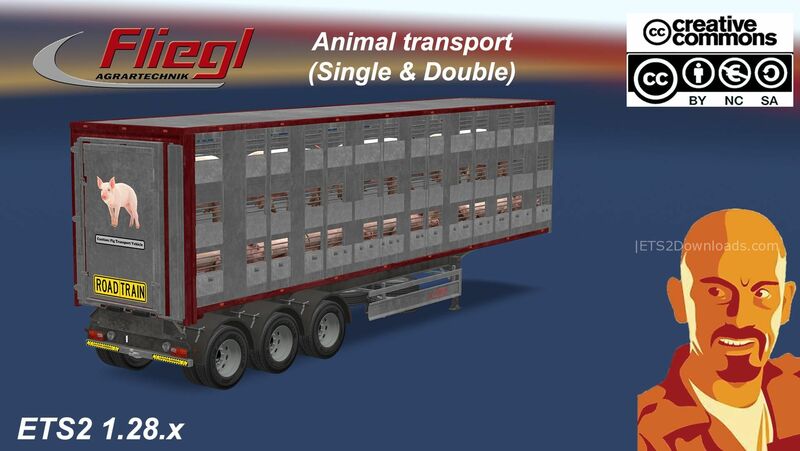 These trailers has been converted to ETS2 from FS15 (Farming Simulator 15). The mod has both single & double versions, added to traffic and supports advance coupling. Credits: CyrusTheVirus (This mod, convertion & integration in ATS & ETS2), GTX MODS, Giants software (3D models for FS).